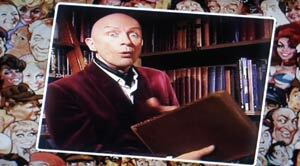 Did you know that Richard O'Brien started his movie career as a horse rider in Carry On Cowboy in back in 1965? 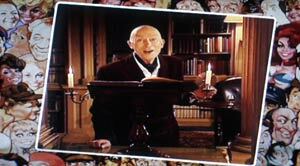 In this interactive DVD game Richard plays host to 600 questions designed to test your knowledge of classic Carry On films to the limit. As well as introducing the DVD, Richard provides links between each question and comments on your skills (or lack of) in answering the questions. His character is best described as a Carry On version of a Narrator. Don't know about double-entendres, more like triple-entendres, but all done with a love of the genre. The questions are a mix of observation, knowledge with different styles of questions such as "Carry On Guessing", "Carry On Watching", etc. You get a score given to you for each of the four rounds and the "prize" is you get to see which Carry On star is the same number in the Hall of Fame as your score. The selection for each question is made using the up, down, left and right keys on your DVD remote and the game can be played by up to four teams of players. 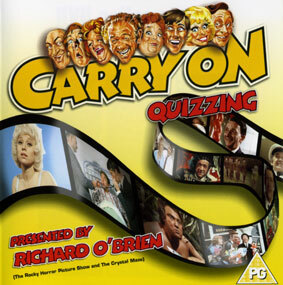 I found it quite fun, although a lot of the questions are for the real afficionados of the Carry On movies and well beyond my megre level. I guess I'll just have to watch all the DVD's again! There are quite a few Rocky fans that seem to be into the Carry On series of movies, myself included, so this disc appeals to me on two levels. Overall it's a worth-while addition to a Rocky collection as Richard is involved, and a worthy addition to the Carry On DVD collection as well. The disc is a PG rating and although it says on Amazon it is region two, the actual one sent was region 0 (worldwide), although you will need a PAL (UK) capable tv and DVD player. 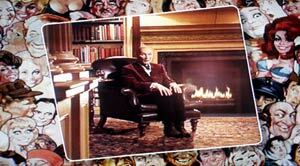 Here are a few screen shots to show you what you get on the DVD. PAL, Stereo, Region 0, 4:3 aspect ratio. Certificate PG. 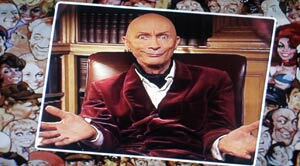 ITV DVD code 3711522373.